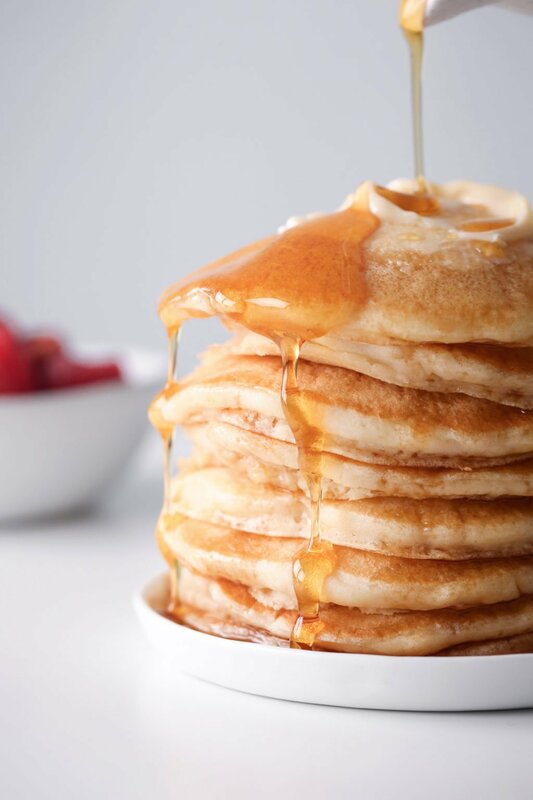 These pancakes are simple to make and delicious, whether you're vegan or not! Dairy, egg, and refined sugar free with a gluten-free option. Lightly grease a non-stick pan or griddle and place over medium heat. When hot, add pancake batter by the ¼ cupfuls, flipping after a minute or so, when edges are set and a few bubbles appear at the surface. Makes 6–8 pancakes, depending on how big you make them. Serves 2–3.